If you have a divorced sibling, your chances of divorcing increase by 22%. If you have a divorced coworker, your chances of divorcing increase by 55%. 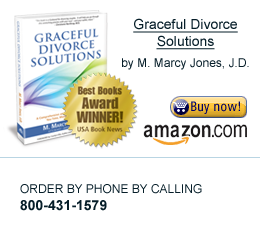 If you have a divorced friend, your chances of divorcing increase by 33%. Whether you agree with the conclusions of this study or not, they certainly raise a number of interesting questions. What does this really mean? What does this say about our social networks and coworkers? Is this a definitive study on whether divorce is “catching?” Not in my book. But is there somewhat of a viral atmosphere out there with regard to divorce? One example cited was Al and Tipper Gore, who announced they were divorcing after 40+ years of marriage, and soon after that their daughter announced she was getting divorced. How about Tiger Woods and Jesse James? Following the revelations about their affairs, how many people wondered, “If this could happen to someone as nice as Sandra Bullock, could it happen to me? Should I be snooping around and checking cell phone records and emails and Facebook chats?” Certainly those fears could contribute to a “viral” feeling atmosphere. In the end, I disagree that divorce is “contagious” as it is described in this study. I think it’s more likely that if you watch a family member, friend, or co-worker go through a divorce and do well, and your marriage isn’t good, then you may explore that option for yourself. When a person makes the difficult decision to divorce, hopefully it will be based on the fact that the marriage is not good, and not on whether or not a friend, family member, or coworker has divorced. I think your point is well taken, Marcy — that divorce becomes more of an option or at least something to contemplate when we see other people go through it and do okay. stronger. That might encourage us to keep working on our own marriage. Either scenario becomes all about making a personal choice as opposed to feeling powerless. And hopefully that means the decision, whatever it may be, is a better one for realizing one has options. I’m not sure if divorce itself is contagious, but I think it’s more than a coincidence that my sister left her husband of 17 years for an old boyfriend she re-connected with on Facebook, and my husband (of 17 years) just did the same to me with a girlfirend from 30 years ago. This is in complete contradiction to a letter he wrote about my sister’s situation when that happened. It’s like he’s abandoned all he used to value. Too bad for him! Yes, too bad for him! Sad to report I’ve heard many stories similar to yours. It’s hard to understand sometimes why people do what they do. And I do know of a number of folks who have left marriages of 15 to 20 years, and more, who do regret it down the road. I’ve also known of people who have divorced for a period of time and then remarried. I hope all works out well for you! Thanks for commenting.